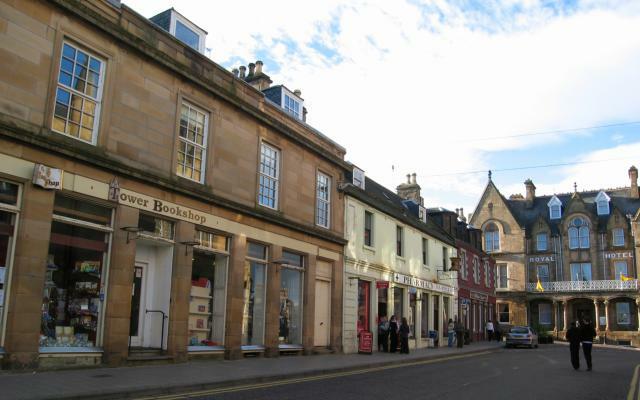 Tain High Street @ High.St - High Street shops and High St businesses. Large Google map of Tain High St.
Tain is a small but thriving town with easy access to towns in Sutherland and to Inverness, just a 40 minute drive. Tain has something for everyone, including a superb links golf course. For those interested in history, Tain has many beautiful buildings with distinctive architecture and the Tain museum is full of information about the area. Every year a week-long gala is held, usually the last week in June/first week in July. There are loads of activities both night and day. The week ends with a full Gala Day on the Saturday. For more information on this year's event, visit the Tain Gala website. Naturally Tain also has its own Highland Games. The full range of Highland events take place, including: heavy weights; track fields; highland dancing; pipe bands and children's events. The games are opened each year by the Chieftain who comes in a parade from the High Street to the show ground. This is a wonderful day in August suitable for all the family. The Tain Community website has all the latest information about events and the local area. Detailed maps and information from RPA Smith Street Maps web site.